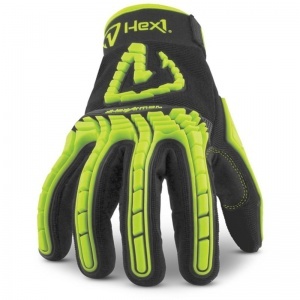 By ensuring protection, increasing productivity and providing high user satisfaction across most mechanical industries, the HexArmor Hex1 Reinforced Mechanics Comfort Gloves 2131 promise to provide an unparalleled level of comfort. 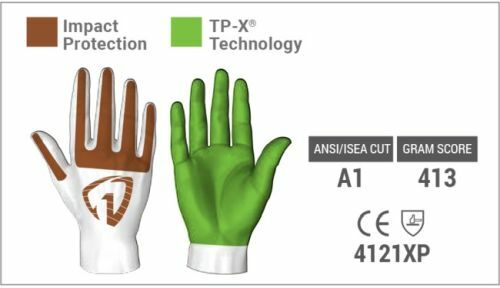 These gloves can boast this exceptional level of comfort due to their neoprene cuff that ensures a secure fit, while protection is ensured by TP-X impact protection on the palm and back of the hand. HexArmor consistently produce high quality, industry leading gloves because they aren't afraid to use innovative and new technology in order to achieve results. This is no different with the Hex1 Gloves, with a TP-X on the palm offering reinforced protection while special padding on the back of the gloves protect against impact. The gloves also use form-fitting and ergonomic material to provide comfort and dexterity, meaning that despite their high quality and strong mechanical protection, your flexibility is retained. 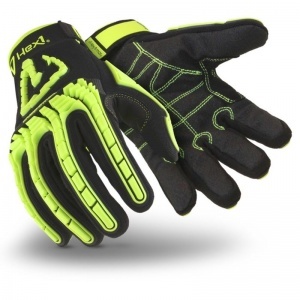 Along with their excellent grip in wet conditions, this makes the gloves extremely versatile, proving to provide trustworthy protection across many different industries. These gloves boast comfort that is hard to beat anywhere in the glove industry, ensuring that dexterity and protection aren't compromised despite their ergonomic and anatomical design. An inner cotton lining guarantees your comfort during use, while the impact protection that coats across the high risk areas of the glove means that you don't need to worry about injury during work. HexArmor have developed these gloves with every hazard in mind, meaning that no matter what situation you find yourself in at work your gloves will only help you stay safe. A hi-vis black and yellow colour scheme is hard to miss, which works to both keep you alert and allows either you or your gloves to be seen in darker working conditions.